For growing families that need to seat up to eight passengers and their stuff, a minivan is still hard to beat. 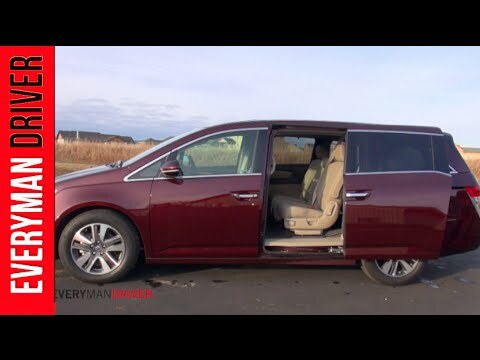 Honda's Odyssey is a sterling example of such a people-mover, offering roomy and comfortable accommodations, innovative features and class-leading fuel economy. Great strong built Honda Odyssey. My Honda Odyssey is a great reliable vehicle. I bought it in 2014. I have not had any problems with it since I have had it. There were a few recalls on it in the past but I got those taken care of quickly. It runs smooth, it rides smooth and is great to take on long road trips. It offers plenty of space all around. I really like the sliding doors. It is easier for my kids to get in and out without hitting other vehicles with the doors. It is great on gas for a van. I drive it at speed limit and not aggressive and like I said it is good on gas. As far as cost go, there have not been major expenses for vehicle problem. The only costs I have had to deal with were for the tires. That was my fault for hitting a curb when turning and it ended up puncturing the tire. As far I can tell from my experience of drive the Odyssey is that there are not any major concerns or faults with my vehicle. I enjoy driving it and love knowing that my family are in a good solid built reliable vehicle every time we get in it. I could see myself buying another one years down the road when the time comes to it! It's incredibly comfortable and reliable, two of the most important things we look for in a family vehicle. We love our Honda Odyssey. It's spacious and provides plenty of room for our family of 4, soon to be 5, plus additional passengers. We haven't had any issues with our van beyond the standard upkeep and maintenance. We find it to be incredibly comfortable for both short and long distance travel. I've been pleasantly surprised with the gas mileage; though city mileage isn't great (19 mpg), highway driving proves to be very economical at 28 mpg, which is especially great for those long family trips. We feel like the Odyssey is equipped with just enough gadgets; we aren't overwhelmed with technology but we have 2 screens, a back up camera, blind spot camera, and it's all set up in a very sleek display. We love it! Great ride with smart features on the Odyssey! I love my Honda Odyssey! The ride is sooo comfortable! We have a Touring so it came with Rear entertainment system and Navigation system. We use the RES everyday but rarely use the navigation system since we have smartphones with GPS. We love that we can take out the center seat on the second row which makes carpool so much easier! The automatic sliding doors make carpool easier too but the doors can sometimes get stuck if it's raining. Not sure why! The audio sound system is great! The van also has lane departure which let's you know if you are going into someone else's lane. The cameras are great for switching lanes and I love that the truck goes up and down automatically!! !